We love dogs as much as you do! Let us provide your dog with a safe, clean, and fun environment. Your dog will get a healthy outlet for their energy by playing and socializing with other dogs. From cage-free boarding to affectionate petting from our staff, your dog will love staying with us. Get full grooming services at low, reasonable rates that vary depending on your dog&apos;s size, breed, and additional factors. Whether your dog needs a nice haircut or a cleansing bath, our experienced groomers will give your pet attentive, detail-oriented grooming. With over 15 years of experience, our groomers can help your dog&apos;s look their best. Help your dog deal with separation anxiety by providing them with a safe, energetic place for them to relax in during the day. Your dogs will be given individual attention, evaluation, and guidance so they get the appropriate care they need. Your dog will be our special guest in our new luxury suites. Each private suite comes with glass paneled doors, climate control and softs beds, to provide your dog with a wonderfully quiet and low-stress environment. Our indoor play areas and outdoor grass yard help your dog with space to exercise. We pay special attention to elderly dogs and those needing individual care. We will care for your dog well during their stay, and be sure they go home happy! Larger suites are available if you have two dogs. Your pets are more than welcome to bring their favorite toy and bed for their stay with us. Put your dog in experienced, loving hands when you choose our services. Schedule your dog&apos;s grooming, daycare, or boarding reservation today! 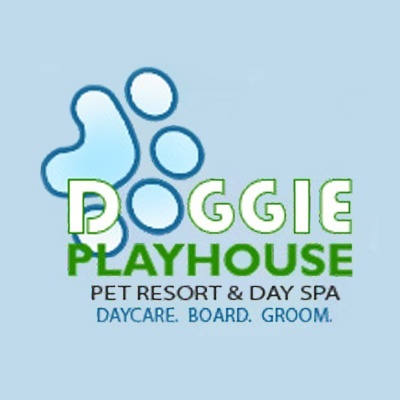 Our dog has enjoyed Doggie Playhouse since it opened. He loves it and the staff is just super with all the guests. Great grooming, too. I'm so happy to have Jeff and his staff to take care of my two granddogs when my schedule is busy! They begin wagging their tail as soon as I pull into the parking lot and also look great after being groomed there. This is the best doggie daycare ever! The boarding service provided is outstanding. The grooming services are superb. The staff is amazing. Jeff (the owner) is like the Palatine dog whisperer! Why would anyone go anywhere else? I just picked my dog up after an 8 nite stay and she is happy and healthy. She loves the day care, playing with the other dogs. The staff takes excellant care of her needs. This is a great place! My dog would go everyday if I let him! The staff is great--the owner very conscience and I couldn't be happier! Just nice to have a place you can trust when you need 'daycare'! Highly recommended! !